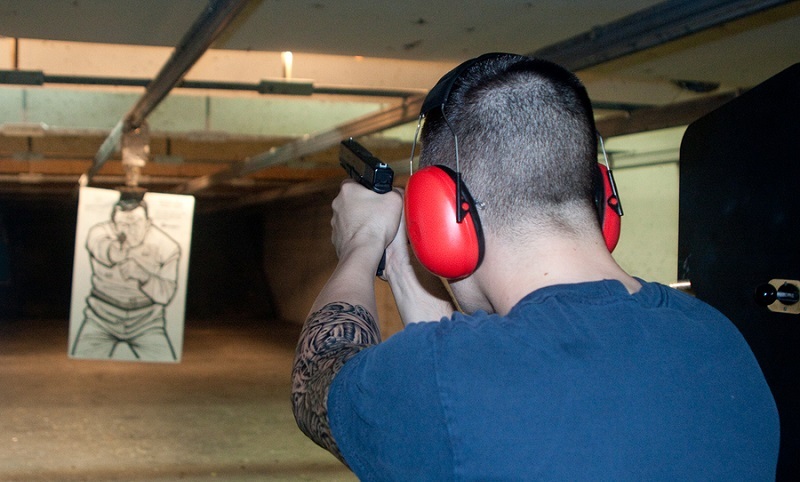 We'll go over why you need it, but also what to look for in ear protection for shooting. 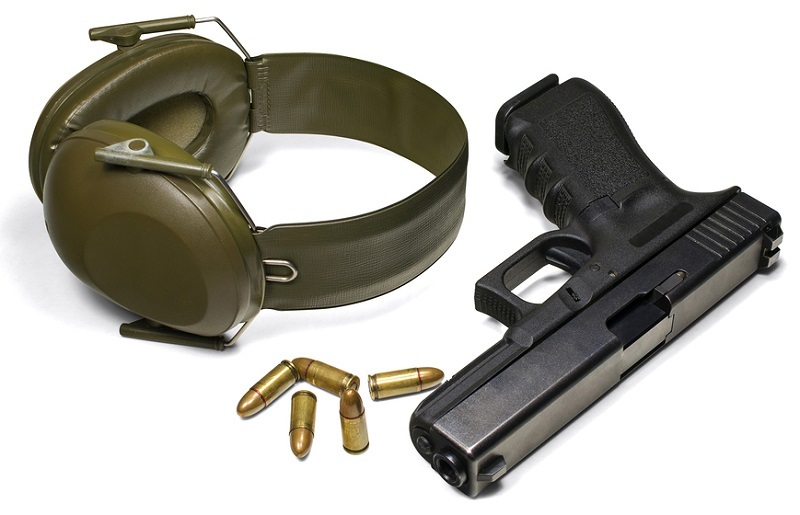 While wearing ear protection while shooting or engaged in any other activity is something of a modern concern, a lot of people likely wish they would have earlier. It's really a must-have in shooting accessories. Take, for instance, rock musician Pete Townshend of The Who, who has well-known and severe hearing issues. Studio recording, part of his job, hurts him. It's forced him to cancel or delay tours, such as in 2010 when they had to postpone touring while a custom set of in-ear monitors (monitors are speakers musicians listen to onstage; in-ear monitors are basically super high-end wireless earbud headphones) were built for him to use without serious discomfort. The more a person is subjected to loud noises, the higher the risk of hearing damage, tinnitus or outright hearing loss. Regular shooters are one of the highest risk groups. 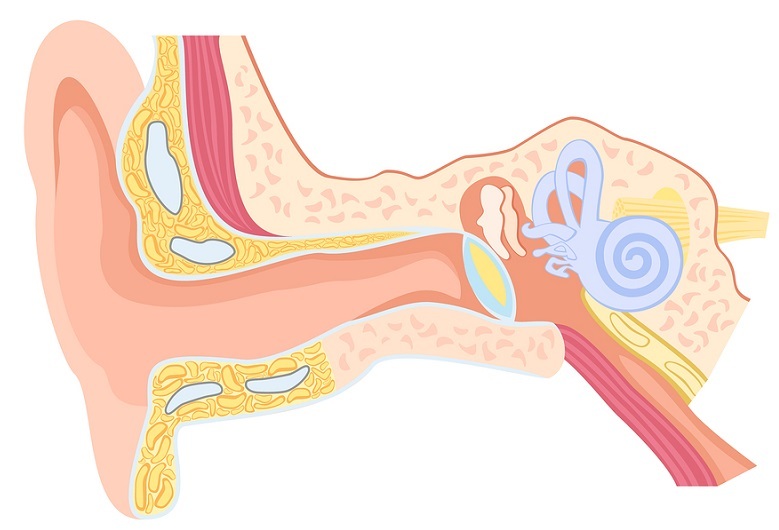 What Is Hearing Damage And How Does It Happen? Hearing damage occurs when the parts of the ear that actually "hear" are damaged by excessive noise. Here's a brief rundown of how hearing works: sound vibrates the eardrum, which sends vibration into the ear canal - just like a drum head sends vibration into an actual drum. That causes three tiny bones in the inner ear - the malleus, incus and stapes - to vibrate in turn, which send the vibration into the cochlea, a snail-shaped sac of fluid. The fluid in the cochlea then ripples, and those ripples cross the basilar membrane - the base of the cochlea - which has a number of tiny hairs on it. Atop those tiny hairs on the basilar membrane are stereocilia - also called cilia - which are hair-like cells with a pore-like channel on the top. When sound enters, the cilia's pores open, and nerve endings fire, sending impulses into the auditory nerve, and from there to the brain - and you hear the sound. Biomechanical systems, like any machine, have tolerances, and when greater stresses than they are engineered to undergo on a regular basis are introduced, damage occurs. The cilia, very delicate cells, are what get damaged by loud noises, since the cilia are only supposed to deal with 75 or fewer dbA on a regular basis. Unlike most other species on earth, human hair cells in the auditory system do not regenerate. Once broken, they're broken. Instant hearing damage occurs at 140 dbA, about the sound made by a .22LR, so even plinking should include hearing protection. Most pistol and rifle rounds produce sound levels ranging around 160 to 170 dbA, more than sufficient to damage hearing and induce tinnitus. Ever hear ringing after shooting? That's tinnitus. That's you losing your hearing, one round at a time. Damage can set in at much lower levels, however. Continued exposure to sounds in excess of 85 dbA is enough to permanently damage hearing, according to the National Institute on Deafness. The NIDOCD is part of the National Institutes of Health, one of the few governmental organizations that only lets you join if you know what you're talking about. Therefore, unless you only shoot a bow, you should be using ear protection. 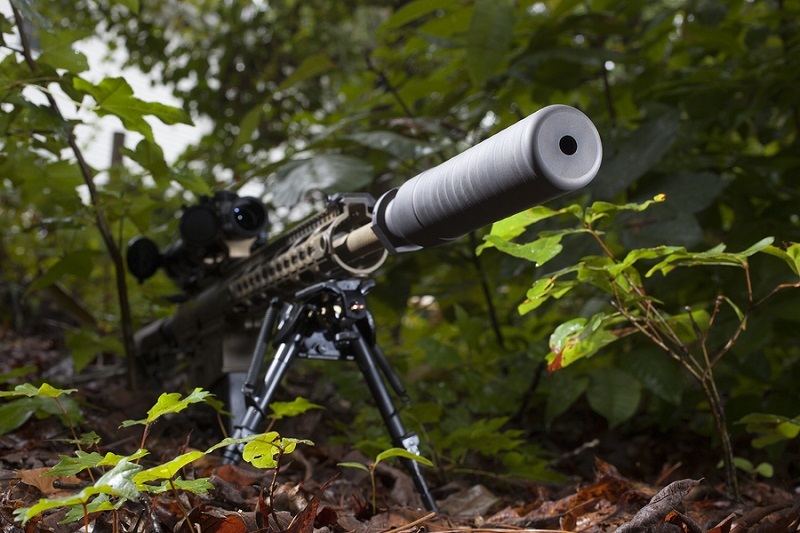 Thinking of getting in on the suppressor craze? As much as playing secret agent is awesome (I loved it when I was 8) a suppressor doesn't always do much in terms of noise reduction. A 1999 Finnish Ministry Of Labor study, according to guns.connect.fi studied the sound difference between suppressed and unsupressed shots from an FN FAL assault rifle chambered in .308 Win. Suppressed gunshots registered at 145 dbA for the shooter and 135 dbA 10 meters away; unsuppressed shots produced about 155 dbA for the shooter and roughly 143 dbA at 10 meters. That's an attenuation (noise reduction) of 10 dbA, which is not enough to save your hearing. Granted, that study is almost 20 years old and suppressor design has advanced since then, but a suppressor is not going to be enough. Today's suppressors generally attenuate about 30 dB in most cases, which is not enough on its own. How do you choose the best ear protection? Well, it's fairly simple. Ear protection is rated by Noise Reduction Rating or NRR, a federal standard for noise attenuation. The higher the NRR, the more noise it attenuates, so you need to get the highest NRR you can for shooting. You can choose earmuffs or earplugs, be the latter reusable or disposable. However, the NRR is not the number of decibels shaved off the noise. An NRR of 30 does not reduce a 160 dB noise (typical gunshot) to 130 dB. (32-7)/2 = 12.5. If you're exposed to a noise level of 160 dB, that brings noise down to 148.5 dB, still enough to permanently damage your hearing. 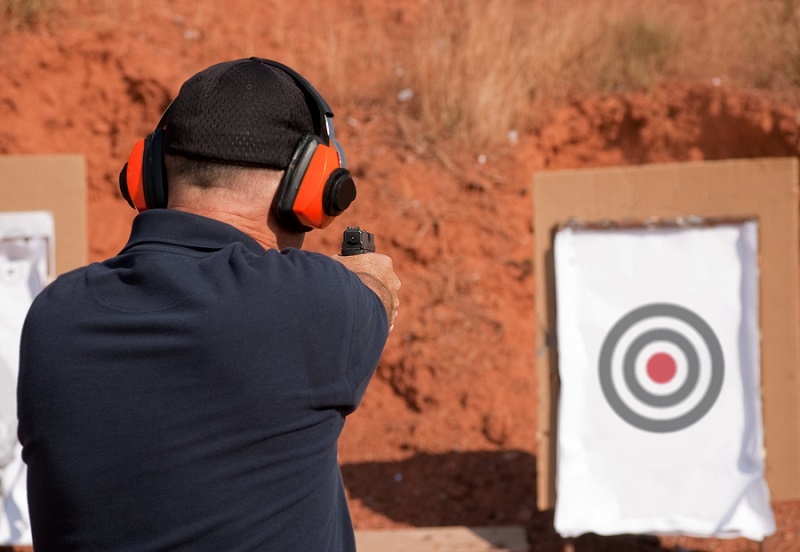 The NIDOCD, along with the National Institute of Occupational Safety (itself part of the Centers for Disease Control) recommend shooters wear earplugs AND muffs at the range. 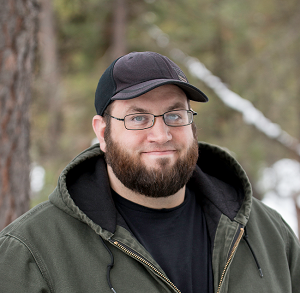 Granted, packing that into the woods isn't always practical, so naturally hunters will want something more compact, like ear valves or other more portable ear protection. If you double down, get the highest NRR plugs and the highest NRR muffs you can. However, using muffs and plugs only adds another 5 dB of attenuation; using 32 NRR earmuffs and 32 NRR plugs simultaneously will only attenuate 17.5 dB of noise. Ear protection for shooting should have an NRR of 30 or better. Most ear protection will max out at NRR 34, so the best bet is to get earmuffs AND plugs at that rating. Electronic earmuffs can work very well, so they should certainly be considered. Many models will automatically attenuate noise of 85 dB or more. Make sure to select ear protection that fits comfortably. Reusable plugs should be cleaned after each use; usually a bath in rubbing alcohol and a wipe down is good. This will prevent any possible ear infections, which people have gotten from ear protection. In the broad strokes, the best ear protection should fit comfortably and offer the greatest amount of hearing protection possible. You don't necessarily have to spend too much, either; reusable plugs and muffs of NRR 34 can be had fairly inexpensively.